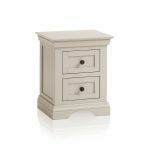 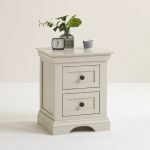 Complete your bedroom style with this sophisticated versatile mid-tone grey bedside table, made with two drawers to add a dose of stylish storage to your bedroom. 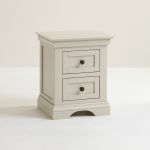 This two drawer bedside table is made from only 100% solid hardwood, and the look is completed with a crisp and smooth coat of grey paint. 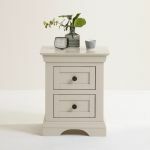 Each piece in our Arlette range is made with the utmost attention to detail, the drawers are finished with real dovetail joints for their superior strength and durability, and have hardwood bases, backs, and runners, too. 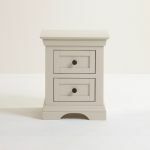 The bedside table has all the design hallmarks of the range, including decorative cornices, arched bases, and panelled detail. 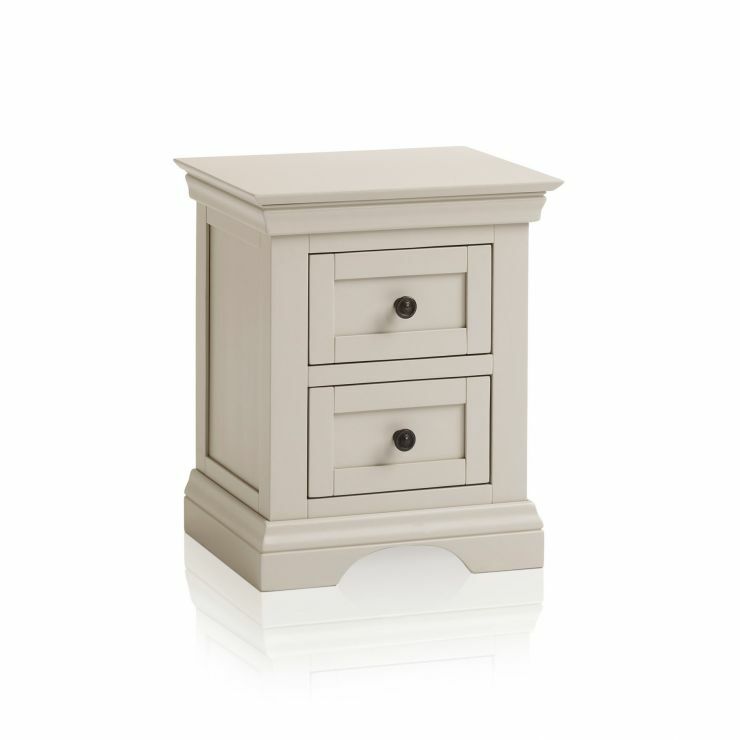 Browse more matching looks from our Arlette furniture range today!